Eastbound Shore Drive is closed from 83rd Street to First Landing State Park while police investigate the accident. It is unknown at this time how long the road will be closed. 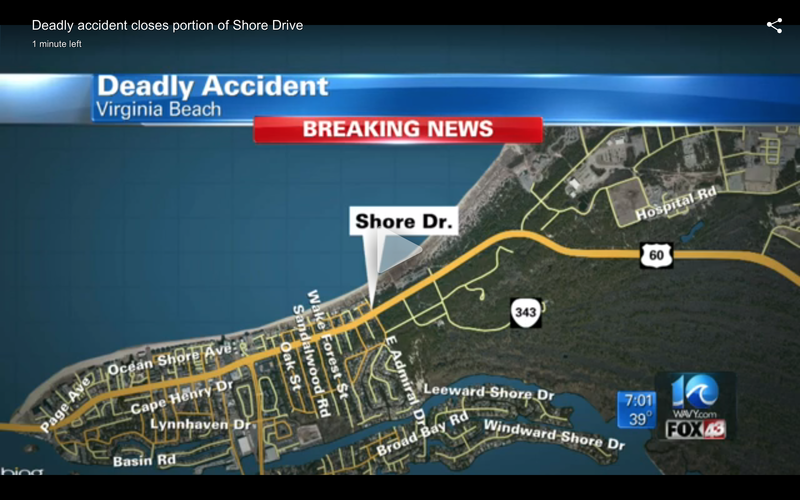 ← FATAL ACCIDENT 2500 BLOCK OF SHORE DRIVE – EASTBOUND AT FIRST LANDING CLOSED. HAPPENING NOW.